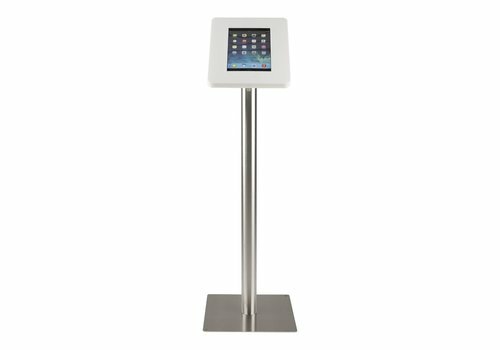 Kiosk is a solid heavy metal floor stand with a large front panel for communicating information. 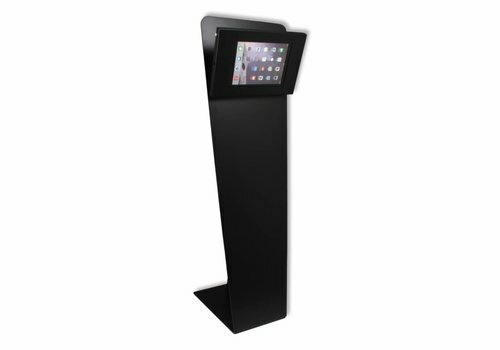 Metallic case, suitable for tablets between 9-11 inches of all brands. 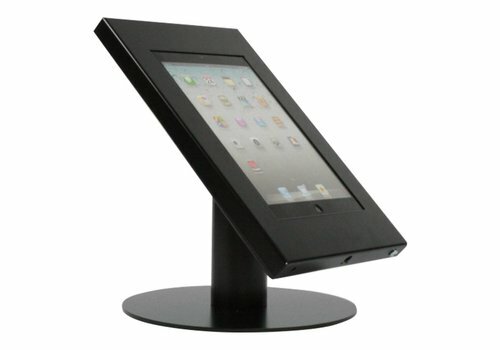 Tablet stand 20 cm high, black coated steel, suitable for Apple iPads and other 9-11 inch tablets. Can be locked. 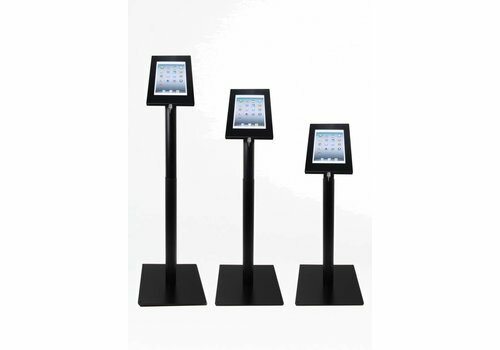 Enclosure can be positioned portrait or landscape, tiltable. 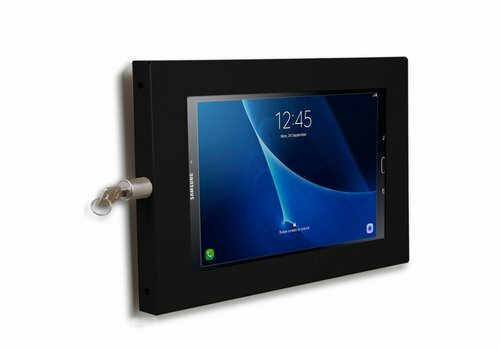 Tablet wall mount, black powder coated steel, suitable for Galaxy Tab A 10.1" and other 10.1"inch tablets. Can be locked. Enclosure can be positioned portrait and landscape. 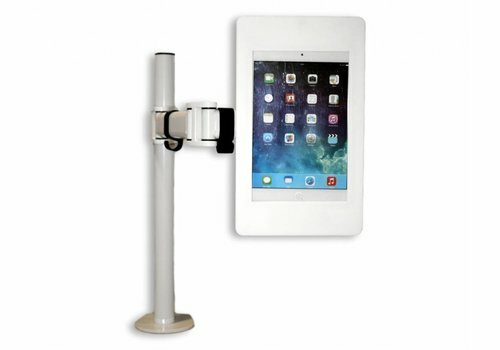 Tablet wall mount, white coated steel, suitable for Apple iPads and other 9 - 11 inch tablets. Can be locked. Enclosure can be positioned portrait and landscape. 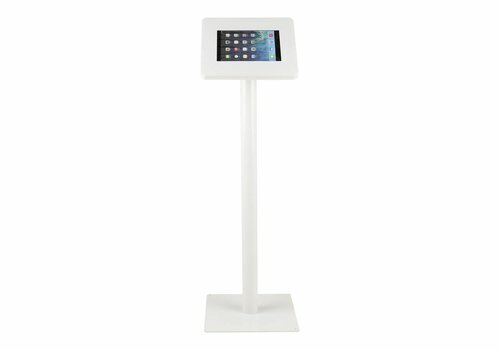 Tablet stand 20 cm high, white coated steel, suitable for Apple iPads and other 9-11 inch tablets. Can be locked. 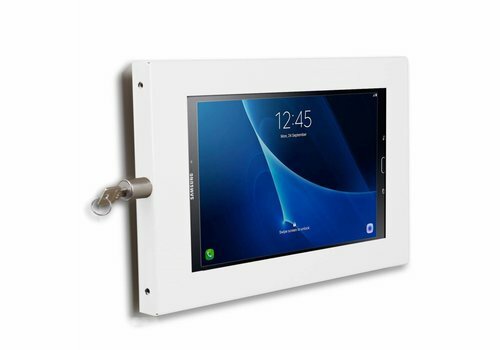 Enclosure can be positioned portrait or landscape, tiltable. 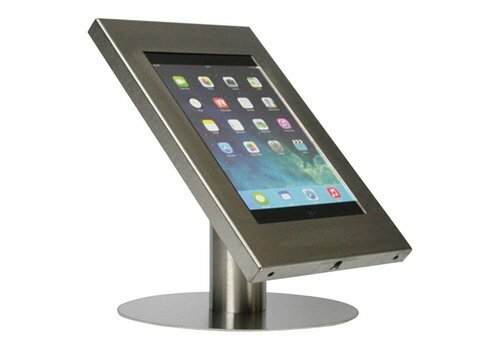 Tablet stand 20 cm high, stainless steel finish, suitable for Apple iPads and other 9-11 inch tablets. Can be locked. 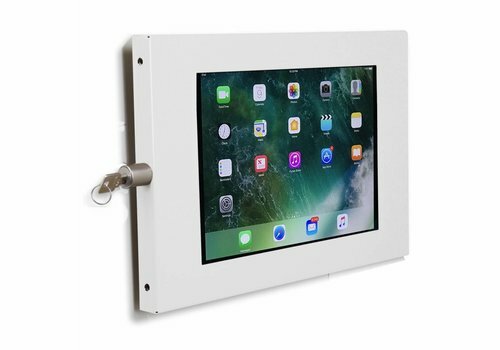 Enclosure can be positioned portrait or landscape, tiltable. 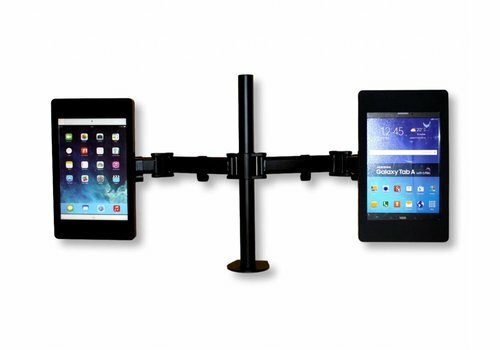 Ultra flexible double height adjustable counter or desk stand for all sorts of tablets. 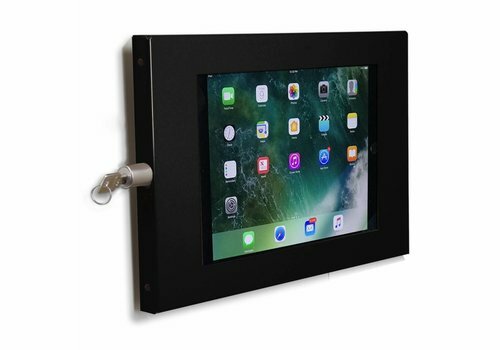 Tablet wall mount, black powder coated steel, suitable for Apple iPad Pro 10.5" . Can be locked. Enclosure can be positioned portrait and landscape. 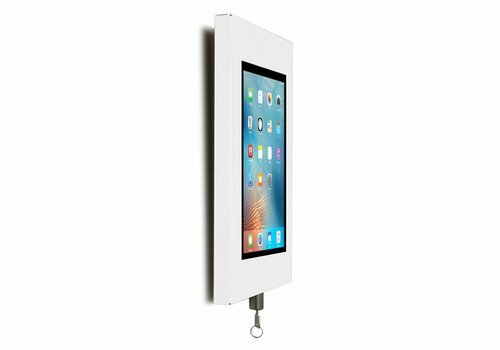 Universal tablet wall mount, powder coated steel, suitable for all 12-13 inch tablets,iPad Pro 12,9", Samsung Galaxy Not 12,2 (adapter needed). Can be locked. Enclosure can be positioned portrait and landscape. 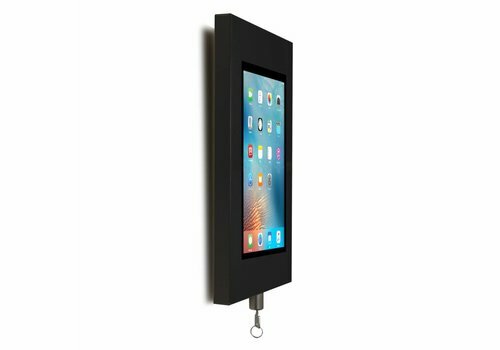 Tablet wall mount, black powder coated steel, suitable for Apple iPad Pro 10.5". Can be locked. Enclosure can be positioned portrait and landscape. 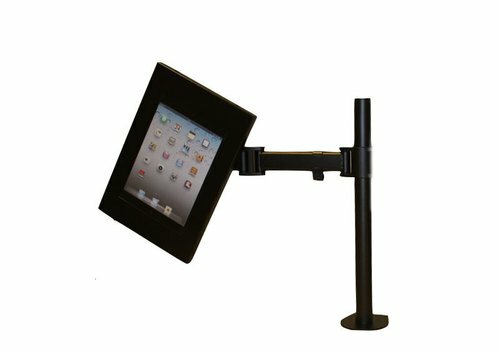 Tablet wall mount, black powder coated steel, suitable for Apple iPads and other 9 - 11 inch tablets. Can be locked. 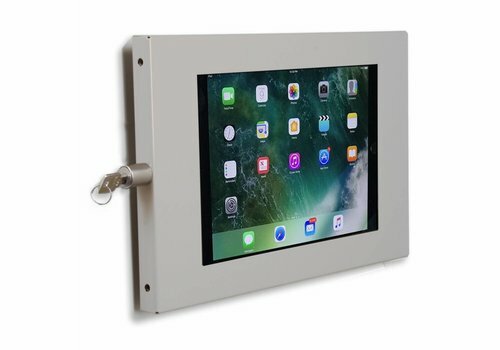 Enclosure can be positioned portrait and landscape. 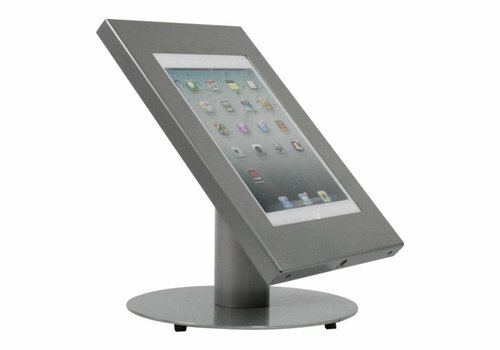 Tablet stand 20 cm high, grey coated steel, suitable for Apple iPads and other 9-11 inch tablets. 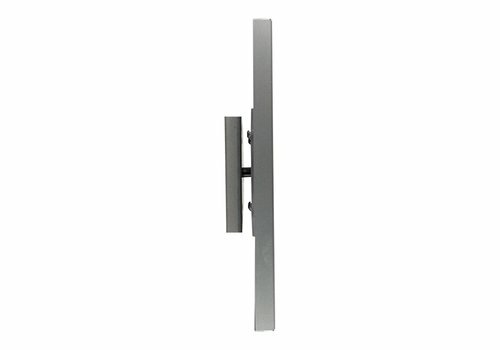 Can be locked. 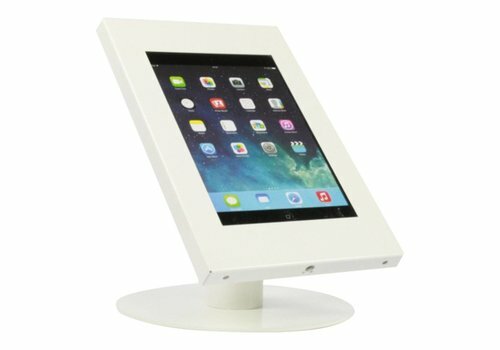 Enclosure can be positioned portrait or landscape, tiltable. With our tablet display stands you are ensured to get the most out of your interactive presentation. PET display.